Montecatini Terme, Florence, Italy, on June 6 to 18, 2010 hosts the 12th International Conference on Modern Materials and Technologies - CIMTEC 2010. 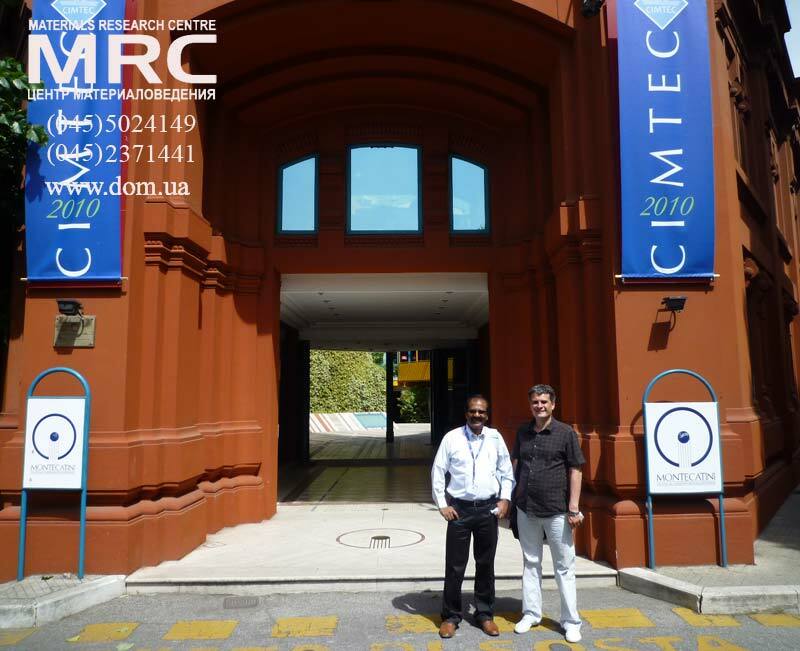 CIMTEC 2010 will consist of the 12th International Ceramics Congress (June 6-11) and of the 5th Forum on New Materials (June 13-18), each of them including a number of Symposia, Focused Sessions, and Conferences. 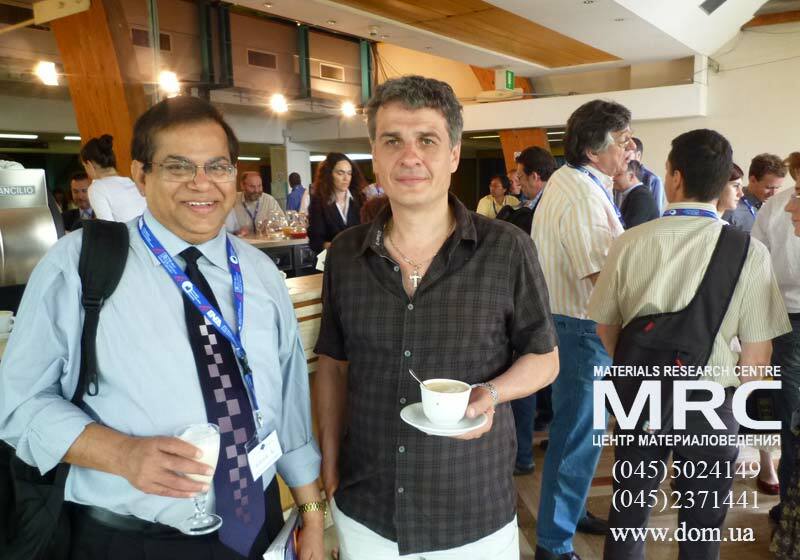 CIMTEC again gathers together many qualified materials scientists, physicists, chemists and engineers as well as experts of a wide range of the most demanding application areas of modern materials, from information technology to biological systems. 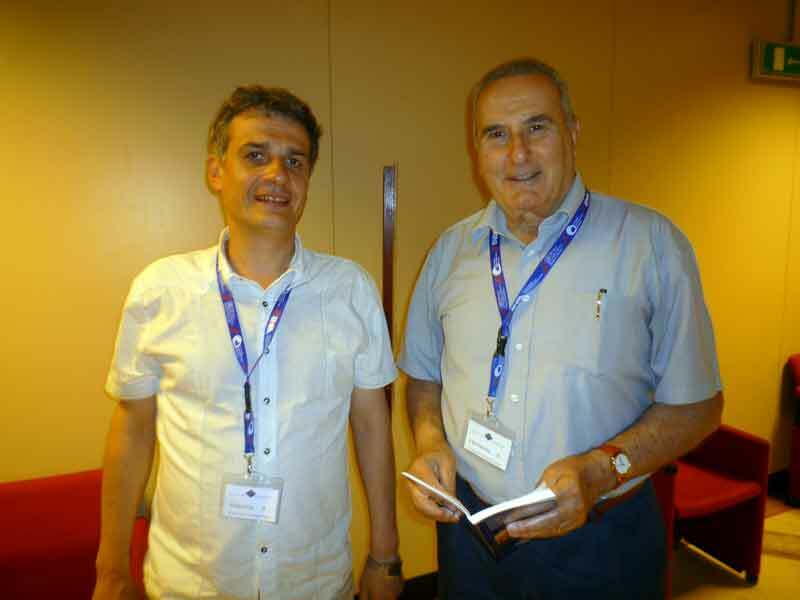 CIMTEC 2010 devotes special attention to most relevant directions for materials research based on new theory and refined modeling strategies and on the ever increasing opportunities offered by the continuous remarkable progress in nanoscience and nanotechnology. Outstanding areas of the subject covers from the molecular and nanoscales to large complex integrated systems. Special focus of the Forum on New Materials will be to apply the new research findings to the development of a number of sustainable energy technologies from advanced fossil fuel energy cycles including CO2 sequestration, to nuclear energy, to photovoltaic power generation. Alexey Gogotsi represented Materials Research Centre at CIMTEC 2010 with a poster presentation on Nanomanufactoring in Disсlosing Materials at Nanoscale: Synthesis and Applications of Photocatalytically Active Titania Nanoparticles / O. Mashtalir, S. Pogulay, A. Gogotsi, Materials Research Centre,Kiev 03680, Ukraine; M. Curtoglu, K. Perez, Y. Gogotsi, Drexel University, Philadelphia, PA 19104, USA. Titania nanoparticles are widely used in photocatalysis, solar cells,pseudocapacitors and other applications. This report is on a scalable method of synthesis of pure and nitrogen-doped anatase nanopowders with the particle size from several nanometers to more than 100 nm, which can be controlled by the process parameters. Preparation of nanosized titanium dioxide with the anatase structure was achieved by precipitation from solutions with subsequent calcinations. The reaction of the isopropanol solution of titanium tetrachloride with ammonia was used in the synthesis process. The effects of the process parameters (pH, temperature and time of calcinations) on the phase composition, particle size, color and morphology have been studied using XRD, Raman spectroscopy and TEM. Nitrogen doping leads to yellow powders. It is important to stress that titanium chloride produced as a chemical industry waste was used in this process. Nanosized TiO2 prepared by this method shows a strong photocatalytic activity. The prepared titania solutions were found to very active to degrade solutions of Methylene blue, Methyl Red and colored household chemicals under UVA light. Nanostructured Titania Films with Improved Photocatalytic Activity / Y.Gogotsi, M.Curtoglu, T.Longenbach, Departament of Materials Science and Engineering, A.J. Drexel Nanotechnology Institute, Drexel University Philadelphia, PA 19104, USA. Photocatalytic properties of titanium dioxide (titania) have attracted much attention within the last decade due to titania’s photochemical stability and high efficiency. Being a cheap, readily available, and biocompatible material, TiO2 is particularly suitable for use in the large- scale production on light activated films on the surfaces of self-cleaning glassware, air and water purification systems, and self-sterilizing material. In order to increase the effectiveness of these films, we have explored the effects of dopingnanostructured TiO2 films with various elements that can dissolve in the titania lattice without a significant strain, particularly those which have ionic radiuses similar to that of titanium. A sol-gel process was implemented for the preparation of doped TiO2 films on glass and the experimental results were supported by the density functional theory (DFT). It has been shown that it is possible to significantly increase the photocatalytic activity of TiO2 by carefully selecting the experimental conditions and film composition. 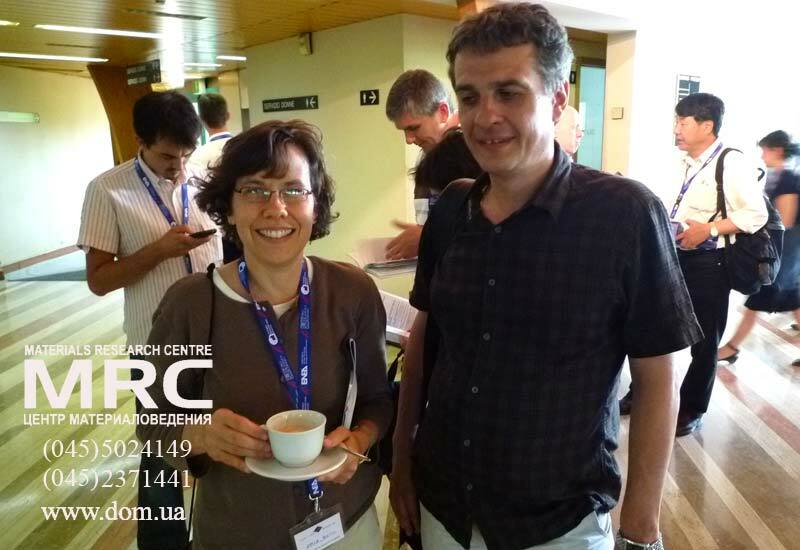 Fracture Resistance Investigations of Refractory Materials, George Gogotsi, Pisarenko Institute for Problems of Strength, Kiev, Ukraine. Advanced oxide and nonoxide refractory materials were tested by edge flaking with different standard diamond indenters. Fracture resistance characteristic obtained with the Rockwell indenter (named FR) was calculated from results of direct measurements that did not make use of linear fracture mechanics concepts, which is typical of fracture toughness determinations. It is proportional to the Kc values measured by the single edge V-notched beam (SEVNB) method. The discussed edge fracture (EF) method enables the determination of fracture resistance of ceramics in small-size specimen tests. It has been demonstrated that the EF test method can be quite adequate for enhancing the reliability of comparative fracture resistance estimates and was appropriate for evaluating the uniformity of refractory material items by their fracture resistance. Such tests with small size specimens can be performed on the equipment available in a conventional mechanical laboratory. The EF method may also be employed for studying the localized mechanical behaviour of the material on the edges of the items.